Increased production per acre can have trickle-down benefits for the farm economy and for the environment, as long as those higher yields are achieved through greater efficiency of inputs and care for the land. Higher yields can improve economic and environmental sustainability of Canadian farms if these yields are achieved based on the practices described throughout this magazine: Improved nutrient efficiency based on lower nutrient losses per acre. Lower pest management costs due to better stand establishment, increased biodiversity and decisions based on insect thresholds. Bigger harvests due to later cutting and reduced losses at the combine. Higher yields also mean that Canada’s canola industry can meet its goal within the same land base, which maintains the diversity of crops and conserves natural habitats in Western Canada. Reduce fuel use per bushel by 18 per cent. This is based on Manitoba Agriculture’s Guidelines for Estimating Crop Production Costs. It pegs fuel use for canola at 22 litres per acre. The 18 per cent gain is based on fuel use holding steady while yields increase from 43 bu./ac. average in 2016 to 52 bu./ac. in 2025. 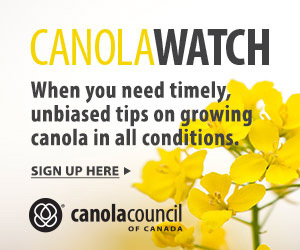 Decrease by 40 per cent the land required to produce one tonne of canola. The canola industry’s strategic plan is to produce 26 million tonnes on 22 million acres. Based on census data from 2011, the last census before launch of the strategic plan, Canada produced 14.6 million tonnes on 18.8 million acres. The gain in productivity is about 40 per cent. Sequester an additional five million tonnes of greenhouse gas emissions. This is based on new carbon calculations, which make it easier to attribute carbon change to individual crops, says Agriculture and Agri-Food Canada (AAFC) research scientist Brian McConkey. Based on those calculations, the 52 bu./ac. target yield would increase Canada’s soil carbon sequestration by five million tonnes of CO2 per year, relative to 2005. The Canadian Roundtable for Sustainable Crops (CRSC) initiated the Canadian Field Print Initiative to track sustainability changes in Canadian crop production. In 2014, funding was secured from AAFC under Growing Forward 2. The result was a benchmark report from Serecon, “Final Report: Application of Sustainable Agriculture Metrics to Canadian Field Crops 2015.” Canadian Canola Growers Association, which is part of CRSC, posted the report at its website, ccga.ca. Energy use reduced by 43 per cent per tonne. Energy use per harvested hectare dropped by eight per cent from 1981 to 2011, due in large part to reduced tillage. With the increase in canola yields factored in, energy use per tonne of canola produced dropped by 43 per cent through those 30 years (see graph below). Land use efficiency is all about productivity per acre: generating more food from the same land base. The amount of land required to produce one tonne of canola went from 0.9 hectares (2.2 acres) in 1981 to around 0.55 hectares (1.4 acres) in 2011. Greenhouse gas emissions reduced by 71 per cent. Reduced fuel use as a result of conservation tillage is one factor. Another is nitrous oxide emissions from various nutrient-related functions, converted to ‘CO2 equivalent’. Tonnes of CO2 equivalent produced per hectare dropped from around 1.2 in 1981 to just over 0.6 tonnes per hectare in 2011, which is around 50 per cent. 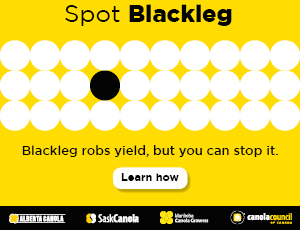 With the yield factor, this works out to a 71 per cent drop per tonne of canola produced. Serecon also reported soil loss per hectare on an overall (non crop specific) basis. In 2001, AAFC reported soil loss per hectare at 5.66 tonnes for Western Canada. In 2011, this was 3.42, which is a big improvement but something for growers to keep in mind. Soil losses continue. Source: Final Report: Application of Sustainable Agriculture Metrics to Canadian Field Crops 2015, Serecon, Graph 57. Energy use is given as gigaJoules per tonne.